Six people were rescued after a tugboat capsized, about 12 nautical miles off the Mumbai coast, India, on Monday. One man is still unaccounted for. The 'Revti' and its 8 crew were sailing in Tarapur, Palghar, when the incident occurred. In a post on social media, the Indian Coast Guard informed that it rescued six of the seven people in distress. After receiving an emergency call at 10:50am, the Indian Coast Guard ship 'Amartya' which was on patrol near the scene, was diverted to respond to the call. 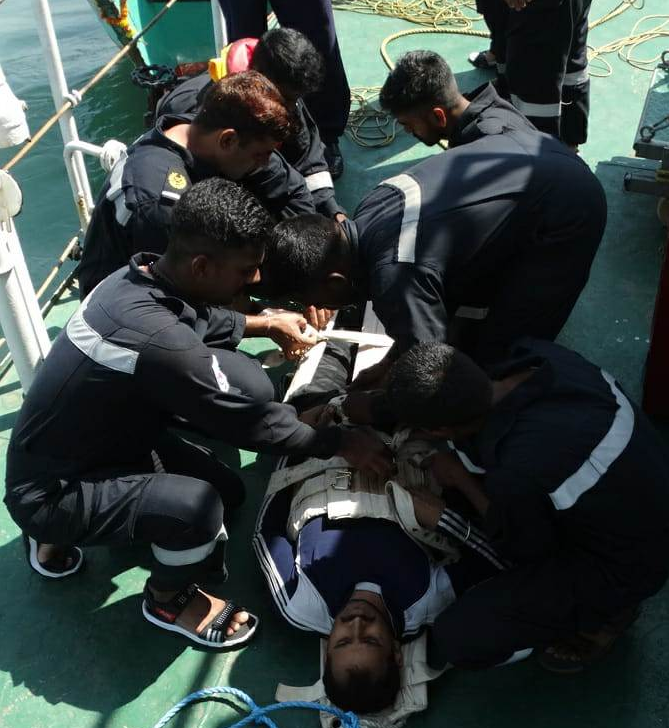 As shown in pictures, the Coast Guard provided first aid at the crewmen, who are all safe. 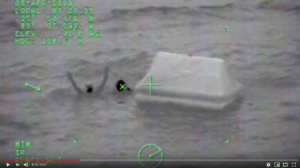 The Coast Guard ships and a helicopter continue search and rescue for the missing crew. 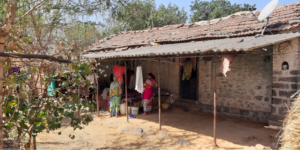 The rescued men have been identified as Rashid Sorathia (38), Tonoy Chalak (22), Ramesh Keni (55), Dilip Yadav (29), Shanu Kumar (19), and Saleem Siddiqui (40), while the missing man has been identified as Abdul Azeez (53), The Hindu reported. It is still unclear what caused the vessel to capsize.